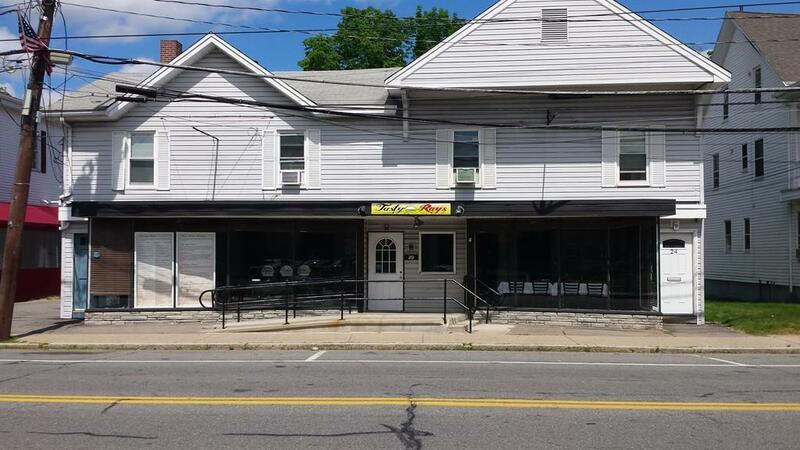 Investor opportunity of commercial property in high profile Mansfield location across from Town Hall and South Common. Located in the B2 zone that allows Mixed Use Development. Food service use on first floor, two residential apartments on second floor and on-site parking behind the building. Call listing agent for additional details and schedule an appointment (proper notice needed) to view the property. Listing courtesy of Ed Tartufo of Conway - Mansfield. Listing provided courtesy of Ed Tartufo of Conway - Mansfield.